Hi Everyone, It’s Melody Lane here. I am excited to be here, this is my first post as a design team member here at Cricut Diva Blog! Thanks Karen for inviting me. I came up with this project because I like wearing fun glasses. 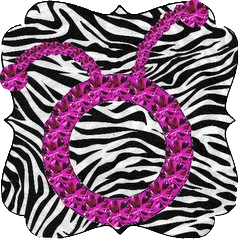 I have a 3D tv and thought it would be fun wearing glasses I made myself, and if you know me the color purple, glitter, rhinestones and zebra print will be involved. I think this would be a great project for kids to decorate their own glasses, these glasses are the same ones you get when you go to a 3D movie, so bring home the glasses after the movie. Then next time you go you can wear the ones you made and get more free ones. Ok, you’re right I could not wear these out in public at the theater but kids would I think. I know my niece Maddie would. I forgot to take pictures along the way, but I did make a video. Here is an after and a before picture. I created this in Cricut Craft Room, I used Masks-Earthly Elements and Suburbia just for the lens. The mask’s eye holes are too small, I don’t want to miss any part of a movie. 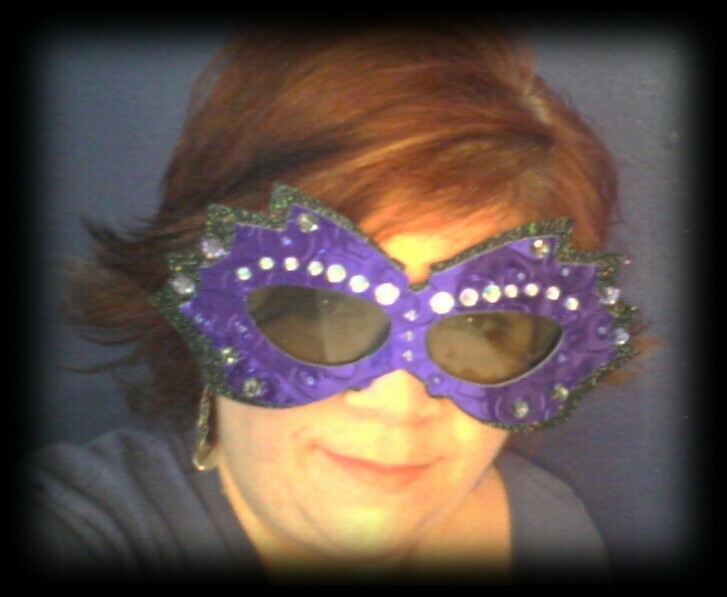 But if you were having a masquerade party you could just attach the mask to glasses so it will be easier to wear. Here you can download the cut file to use in CCR. In the video I show you how I did everything. I did a few test cuts first to make sure the mask would fit the glasses. I only had to cut 2 thank goodness. I cut the base with black glitter paper that I got from JoAnns and the next layer I used purple foil paper I got from Walmart. I used the Swirls embossing folder in the Cuttlebug on the foil paper, I had to do one side at a time because it was too big for the embossing folder. So I only put one side of the mask in the folder and the other side hung out the end and then I turned it around and did it again. I used red tacky double sided tape to adhere it to the glasses. 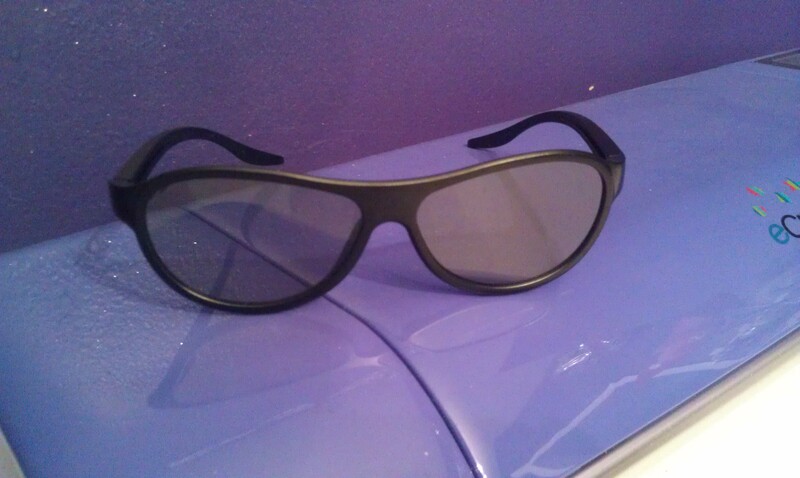 I then used my Xyron Mega Runner and applied the adhesive to the front of the base layer around the lens holes. Then applied the purple layer to the base layer. I then added Zebra print Rhinestones I got at Hobby Lobby and other rhinestones. You could add feathers and so much more. This would be so much fun with kids. Great for a birthday party that was going to go see a 3D movie. 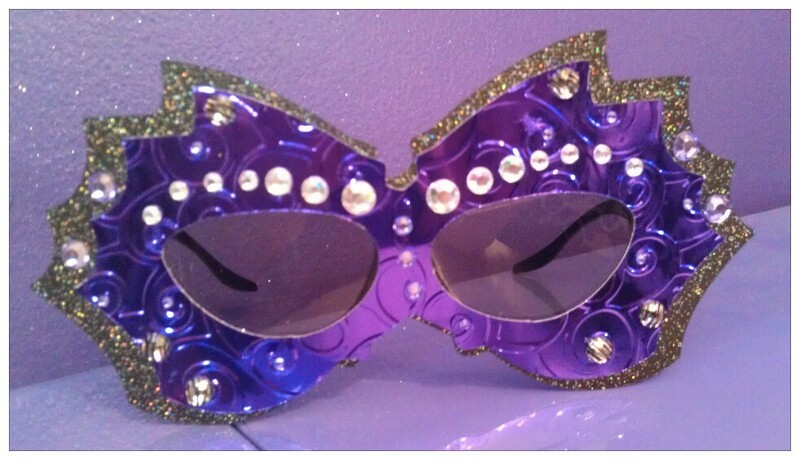 Other Supplies Used: Rhinestones, Foil paper, Glitter paper, and 3D glasses.